One of the things which will suddenly give an idea of the style and the tone of the wedding to the guests is Wedding Stationery. Save the date cards, invitations, RSVP cards, menus, service sheets, place setting cards and thank you notes are some examples of what you can customise to set the mood of your Wedding in Italy. Some people think it is an unnecessary matter, but we can definitely tell that most of the times it makes the difference. Well-designed Stationery, with the perfect Paper and the right Typeface can instantly give the perception that every little detail is being taken care of. We include in our staff a great Graphic Design team which is ready to create a special and unique style for you, perfectly suited to your theme and taste. We kindly ask our couples to collect inspiration to share with our team make it easier for them to understand the look you are going for, or we will show you some samples to start, and then they will help you to suggest the best direction. As the solutions are limitless it can be a little overwhelming. Another great idea is to create a Wedding Website where you can keep your guests updated and inform them about everything, so that you don’t have to worry that you forgot to tell something to someone. 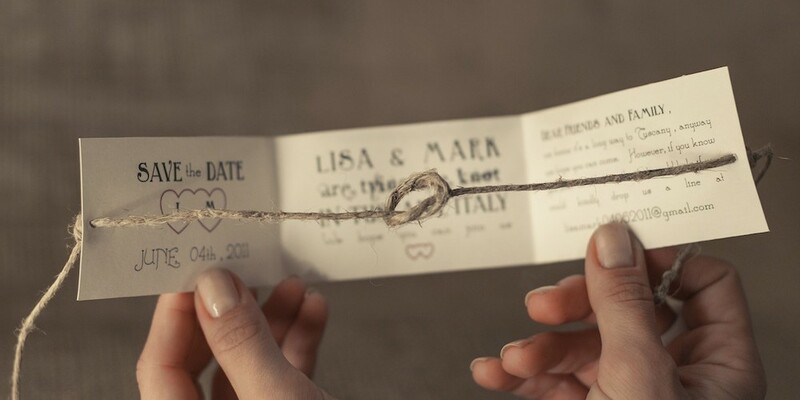 It should be include a way for guests to sign up to Save the Date, including maybe an Engagement photoshoot and information regarding both of you, beyond useful facts to help them plan the trip, such as airports and station near the location, advised accommodations, nice restaurants, cultural and sport activities. Beyond designing your website, we will give the best hotel rates and assist your guests with reservations.